Yes it's been photographed before, no it's not a unique position, have I just plagiarised someone elses image, well possibly, but then again I shot the same composition at this same place upwards of 30 years ago. 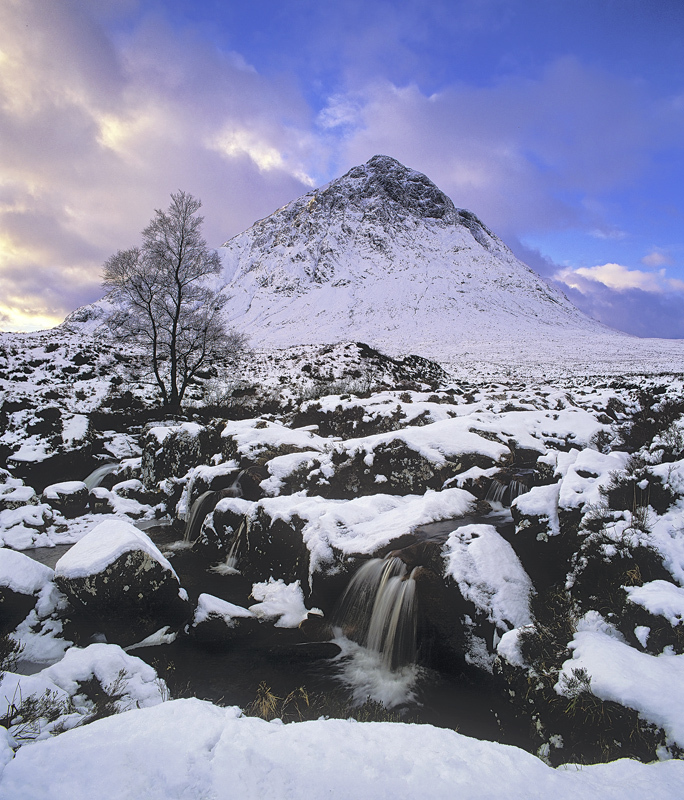 Do I still get a thrill seeing the Buachaille in its winter shroud, you bet. Would that stop me from shooting it again? Not on your Nellie. Everybody is so hung up on being unique and different, me I am hung up on enjoying my photography. Go on live a little. Gorgeous place, great conditions and thrilling to see it in a winter cloak dripping with fresh snow. I think I shall go back next year.